There are only a few lighting fixtures left for my sweet little farmhouse. Sconces for the hallway and the dining room, and four exterior fixtures to replace the 20,000 Leagues Under the Sea fixtures chosen by the previous owners. Outdoor light fixtures are difficult. 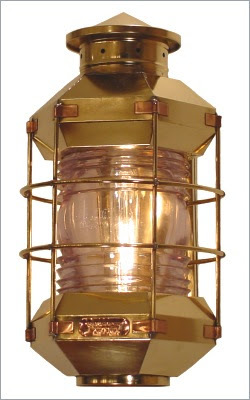 Everyone in Concord has the requisite onion lamp which is a wonderful design (and offers a rounded edge to the linear colonial and Victorian architecture), but according to some research was used on fishing schooners. The onion globe, because it was round, shed a lot of light, protected the flame from rain and wind and was difficult to break. Now this fixture is just COOL. But it doesn't really go on a farmhouse, let's be honest. 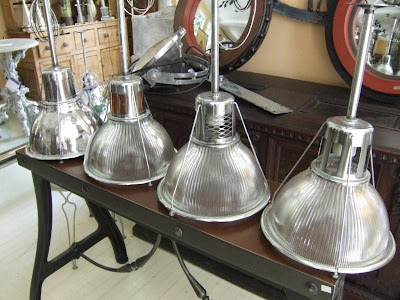 And if you really look for outdoor fixtures, you'll be depressed by a) how ugly they are b) how cheap they look and c) how many ugly and cheap fixtures are actually produced and make someone some money somewhere. Now this falls into category B. It looks cheap. At least in this photo... But I like the design. 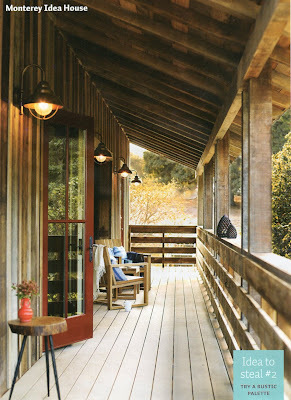 It just so happens that it was featured in Sunset Magazine's Monterey Idea House this month and looks fantastic! Just what I was hoping for. 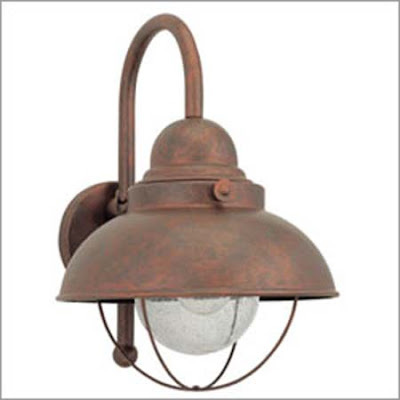 So I ordered 4 in the weathered copper finish from Lighting New York (will keep you posted on service from this vendor). Here is the clip from Sunset (by the way, if you live out west or love California style, get a subscription to this magazine. I almost worked there as a CD and it is really a special publication with wonderful recipes, garden advice and home decor in a practical, stylish format). 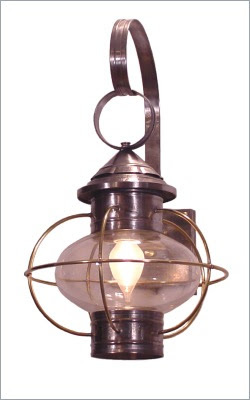 Farmhouse-y, outdoor and affordable (about $130/fixture). 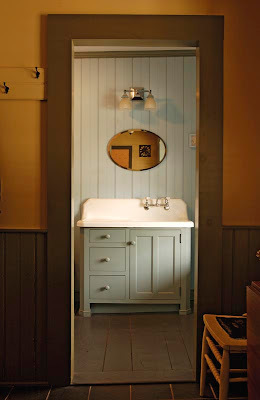 I couldn't fit a vintage sink, but the sink that I purchased is a cast iron sink intended for a laundry room (it's extra deep). Perfect for rinsing muddy boots/feet and washing paintbrushes. I had to share my gorgeous pendants with you. I just need to measure for the rods... They'll be quite long because of the new cathedral ceiling in the kitchen which should be interesting for shipping. I chose the 3rd one in - with the lattice mesh. I thought it brought a nice detail that mirrored the front doors of the house, and was also a bit more unusual than what you usually see. These are antique French lights from a factory - ooh la la. b) choose a fixture with an acrylic dome. Uh, no thanks. I am finally in the process of choosing colors for the house. What a long haul! I have been looking at my extensive collection of tears, and all of them feature houses with gallons of white paint. But to pull the trigger and edit out colors is something I haven't done before. 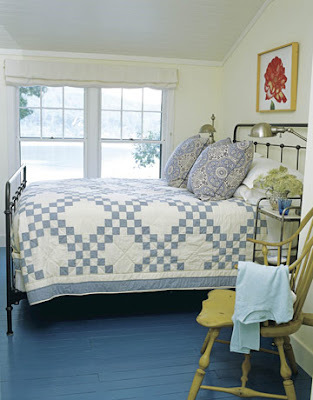 I always love a pale blue bedroom, and rich khakis and chocolate browns for libraries/offices. So... to white or not to white? 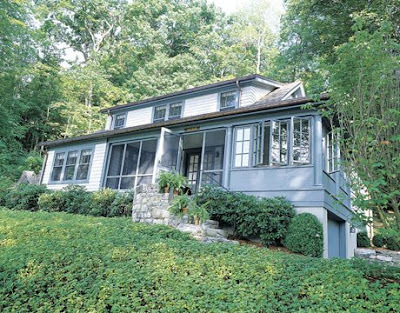 1) the house on the first floor is extremely open, so the color palette has to be very limited. 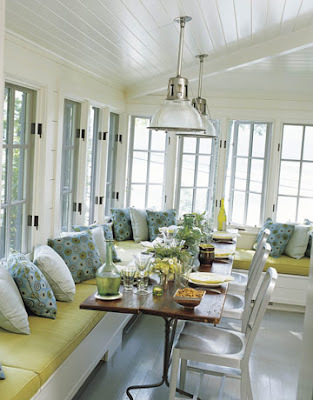 2) the light tends to skew a little grey in the house, so I want to balance that with yellow undertones in whatever colors I choose. I fear choosing cool tones will make the rooms feel cold. 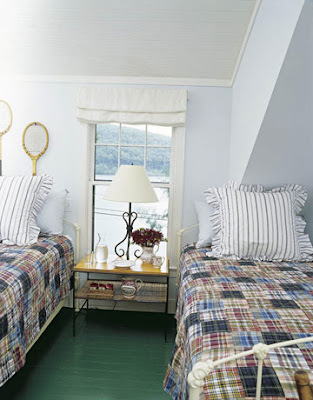 I am going to paint all of the trim Simply White (Benjamin Moore) in eggshell or semigloss, and the walls in matte. 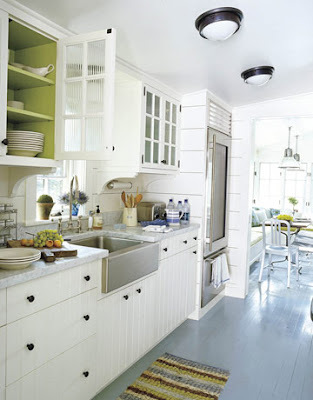 Simply White is a white without grey/khaki/green undertones (unlike Decorator's White or White Dove, some very popular choices), which I think is important to give that glow. It also happens to be on every surface of my current inspiration. Of course, take all swatches shown here as a guide... web colors are nowhere near true colors. Wow, that doesn't look white at all. It just looks dirty.  For the walls I am thinking about Mayonnaise, Grand Teton, Atrium White or just Simply White in the matte finish. I ordered many swatches from Benjamin Moore today - we'll see how I feel when I get them! Our foyer is extremely dreary these days. EXTREMELY dreary, as in bordering on tragic. Partially it is because the glorious diamond-pane front doors are still not installed (lead paint contractors - ugh) which will obviously be remedied. The lightbulb has burnt out on the one working light in the house. And the sad, sad grey paint is not helping matters (I love grey, but this color is not attractive). I have a few foyer inspirations that I wanted to share... 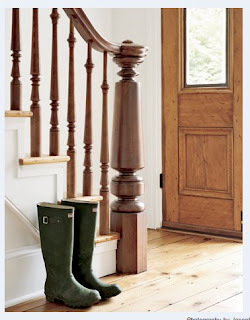 I particularly love the Hunter boots (of which I just happen to have a pair in green). If only I had that Range Rover... but I digress. This particular runner (on creamy white paint which looks fabulous) is from Woodard Weave and is warm and casual yet tailored. Woodard Weave is creating rugs in 19th c traditions - Amish, Shaker, Pennsylvania. Similar to Elizabeth Eakins (don't even get me started on their terrible customer service and marginal quality... ever used an absorbent white t-shirt as a rug? Try paying several thousand dollars for the rug and then having the dog walk over it once and it's ruined... long story) and the lower priced Dash and Albert, but I feel with a bit more depth of color. 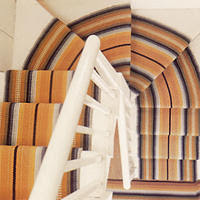 I spoke with Woodard Weave today (Blanche Greenstein, one of the owners, was absolutely delicious on the phone), and the rugs are surprisingly affordable (she estimated at $1000 for the stairs) and they have an installer that they depend upon in Massachusetts. Wow. 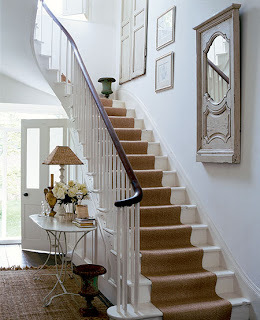 This staircase is more like the one in our farmhouse... dark banister, limited detailing on the spindles. I am debating whether to varnish the treads and then add the runner or just paint the whole thing white and add the runner. Thoughts? The pendants (via R.T. Facts in Kent, CT) in the kitchen inspired me to keep searching for a light resource, and that particular vendor had a new fixture that I will share with you and have on order. 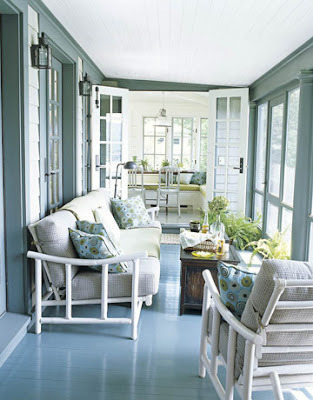 Eve Ashcraft, a color consultant, chose many of the paint colors and it's just exquisite.